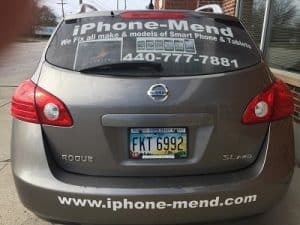 Cell Phone Repair in North Olmsted, Westlake and surrounding areas. Our Technicians will fix all Apple iPhones, and we know how important your property is to you. We take impeccable care of any customer. Before you call the competition, we can help. We have been known to make many customers happy, and we give great value and pricing. Contact us today for cell phone repair pricing and see how we can help you. We are specialists at iPads. If you have a broken iPad screen or your home button is damaged, we can help. We have specialists on duty to answer any questions you have about your iPad. Is Your Screen In Need of Repair? cell phones are simple to break and end up with a cracked screen it can happen for a variety of reasons. Without a doubt nothing is more irritating than making an effort to fix broken or cracked screens, fortunately, we have a quick replacement fast solution for you if your iPod screen is cracked. We are a specialized Apple Facility. The Apple models we handle are the 4, 4s, 5, 5c, 5s, 6, 6s, 6s+, 7 and 7+. No one likes to wait days to get their cell phone back, which is why we are fast. Just drop off your device, and we will have it back to you ASAP. We know that people feel lost without having something to use. Or schedule an appointment. We only use quality after-market Apple parts for phone repair. Be sure who fixes your phone will offer quality. Some of the cell phone screens are cheap quality do not last. Especially for water damage. We have a 90-day warranty on any repair. If you have any problems, just bring it right back to us. We can beat any reasonable competitor price just bring us an invoice from a competitor that is lower than our price, and we will match it. We are cell experts and can take care of any apple repair . For apple we perform iPhone repair, iPad repair, android phone repair, tablets and screens. First we take a look at your tablet and then provide a quote for how long and how much. And, everything will be working again beautifully. Our tech prices are 2nd to none for cell phone repair. Just know we will take care of your property and return it to you on-time in good working condition. We are just the best shop around. Other services include computer repair, laptop repair and we also have phone parts you can buy in our store.